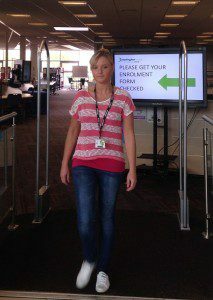 Once you apply and are accepted on to a course, the next step is to enrol at the college. You should bring along evidence of your existing qualifications, and if you are claiming reduced/free course fees, or any state benefits. If you are enrolling on an ESOL course you will also need to bring with you your NI number (if you have one), proof of residency (for non-EU residents), ability to pay for the course OR documents in support of being in receipt of benefits. Applicants wanting to start full time and part time courses are welcome to just pop along to the college during our enrolment period (times and dates to be confirmed shortly). Please note that if you are wanting to enrol on a Higher Education course, or a maths or English course, or ESOL you will need to contact our Admissions team on 01325 503030 before coming into college to enrol. Go for it! Call our Course and Information team for a chat on 01325 503050 for further support and advice.